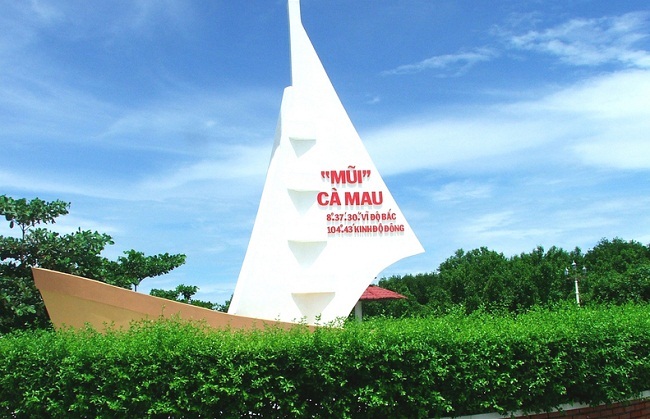 The town of Ca Mau borders the U-Minh Forest (admission 10,000d; 6am-5pm, closed Mar-May), a vast mangrove forest which covers 1000 sq km of Ca Mau and Kien Giang provinces. Local people make use of certain species of mangrove as a source of timber, charcoal, thatch and tannin. Together with being an important habitat for waterfowl, the U-Minh Forest – the biggest mangrove jungle all over the world beyond the Amazon basin – was a good hideout for the VC during the American War. The Americans responded with chemical de foliation, which caused huge destroy to the jungles. Thanks to the heavy rainfall, the dioxin was washed out to sea and the forest is returning. People have also planted many eucalptus trees because they have been said to be relatively dioxin-resustant. Yet the mangrove forests are being further damaged by clearing for shrimp-farming ponds, charcoal production and woodchipping, even though the authority has tried to limit these activities. In 2002 an area of 80 sq km was preserved as U Minh Thuong (Upper U-Minh) National Park. The jungle is well-known for its birdlife, and twitchers will have a boat trip around Ca Mau, although the feathered flocks aren’t nearly as common as the swarms of mosquitoes. It takes visitors around thirty minutes to get a boat trip and costs 100,000d . Ca Mau Tourist can arrange an 140-US dollar boat tour, but try to find better deals with locals down at the ferry pier at which you can get a speedboat to Thu Bay (two hours), which is followed by a motorbike to U-Minh Forest for 70,000d. Sometimes known as Ngoc Hien Bird Sanctuary, these 130 hectares form one of the least developed and most protected parts of the Mekong Delta region. Shrimp farming is banned here. You can access by boat .